Our world-class desi R&D professionals generally maintain a low key. But when they do flex their muscles, the world sits up and takes notice. Research & development (R&D) careers are often associated with academia and universities. However, the demand for R&D jobs in the industry (i.e. traditional & new age companies that are in the business of developing and selling products) has been growing. An R&D career can give you the best of both (academic and professional) worlds – pushing the limits of theory as well as getting to see the practical (and ground-breaking) results in action. Saurabh Joshi takes us on a guided tour on what it means to have an R&D job, how to break into the industry, average salaries, best companies for R&D vacancies, growth prospects and more. It happened twice with me. The first time was about 11 year back. I was on a train from Delhi to Lucknow and met my classmate from school after nearly 5 years. Again eight years later when I was doing my MBA, I was sitting at the dinner table with my MBA batch mates from the IT industry and the same question popped up. I realised that generally I am in the minority in the corporate world, so here’s a little peek into the Research and Development in the industry. In manufacturing sector Research-and-Development (R&D) is synonymous with Product Development or Engineering. Sometimes the word Design-and-Development (D&D) is also used acknowledging that there is no research involved. Another type of R&D is in Pharmaceuticals where scientific research goes into molecules for creating a drug. The R&D department is present in practically every industry where there is a product to be developed and sold. However, if the term ‘Research’ is used independently (without ‘Development’) it may sometimes be used for KPO firms which conducts researches on markets, financials, business models etc. During my fourth year of engineering, an automobile company came for electrical and mechanical engineers. It picked eight candidates after a written test, group discussion (GD) and interview. By 11PM on the same day I had an offer in hand and I was out of placement process with 6 months of relaxed time in campus. I was not allocated to the R&D department immediately. Our group went through an induction program across all the departments – marketing, production, supply chain, R&D etc. Later each one of us was put in a department depending on our level of interest and the vacancies available. For the next 8 years I worked in different projects in R&D. In the automobile industry, typically the projects are of a long duration and go through a process called ‘Stage-Gate’. The whole process from concept to launch of a product is divided into various stages with quality, time and cost constraints. A major project may last for 4-5 years while smaller ones may get over in a year or so. I used to reach office by 8:30 in the morning. From 8:45 to 9:00 a standing meeting within department to share status and set an agenda for the day. Next 20-30 minutes would be spent on catching up on emails. Usually there are 3-4 meetings in week so if there’s a meeting on that day, I would review my preparedness. If it is on another day I would shoot emails to concerned stakeholders for the required data, conduct my analysis and hold discussions. Three things would generally define my daily agenda – meetings, testing & report making and technical analysis. Lunch happens at 1:00 and is of 30 mins. The second half goes more or less like the first half. The day gets over before you say ‘over’. After the official hours (i.e. 5:30 pm), another 30-60 minutes would go into reviewing the overall status to see what I missed or do I need to stretch the day further. Over the years, R&D in India across industries has now evolved from technology transfer units to self-sufficient independent centres. However, presently only a few Indian organisations are working on cutting edge technologies. In recent years though there has been some serious push from the Indian government to improve the R&D capability. As a result several MNC’s are now setting up their R&D centres in India. Despite a late start there have been some very significant breakthroughs by Indian organisations. 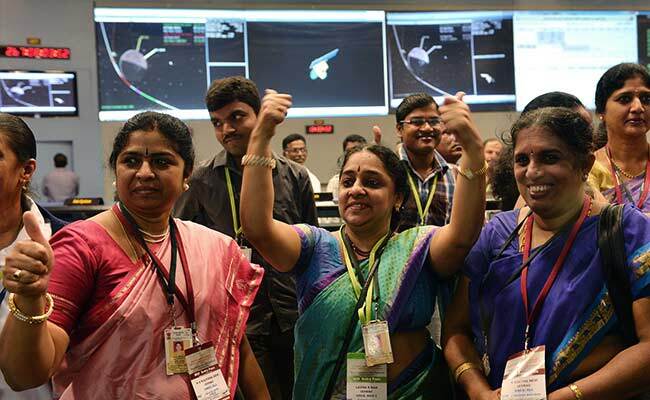 For example, consider Mangalyaan – the Mars Orbiter Mission by ISRO was India’s first interplanetary mission and ISRO became only the fourth agency to do so. Tata Nano created history for being the cheapest car at $2500 when some global MNC’s categorically declared it impossible to achieve. Get in early if you want to have a career in R&D. To become a part of R&D, one should target those profiles at the start of one’s career. A lateral switch from any other function is unheard of in the industry. One needs to have a technical background and also a strong inclination for technology. In manufacturing in India, the bulk of the manpower hired is B. Tech or B.E. However the requirement for diploma holders and ITI is also quite good. Profiles with higher qualification like M.S. and PhD too have significant demand. In this profile, one grows as an expert in a particular technology. However by virtue of his interactions, he develops a cross-functional understanding other technologies too. Generally after around 8-10 years managerial aspects also get introduced in one’s profile. Eventually at senior level one may go on to become a Chief Engineer and lead the complete product development cycle. In some organisations especially abroad one may choose to stick to the technical stream and become a subject matter expert. Loyalty pays – Think long term! The learning curve is very steep in such profiles hence the real returns come only after spending a considerable time in one profile. Also R&D in every organisation has its own unique culture. Committing to one organisation for the long term reaps a lot of benefits, as several opportunities get created both within and outside the organisation. Sometimes the profile may not look very glamorous since almost all the projects are strictly confidential and are not discussed openly. However within the organisation it commands a lot of authority and power. In govt sectors there are some real good R&D profiles offered by ISRO, BARC and DRDO – these are pure play Research and Development organisations. Attractive opportunities are also available in other PSU organisations. The entry is through either GATE (Graduate Aptitude Test in Engineering) or the organisation’s own written exam. In private sectors, the automobile sector provides very good R&D profiles. Maruti Suzuki is set to become Suzuki’s first R&D centre outside Japan. Mercedes Benz, Ford, General Motors are spending heavily in developing R&D in India, while Tata and Mahindra already have fully functional R&D divisions. The growth in R&D opportunities can be seen in the electronics industry also with Samsung, Siemens, Motorola, ST Microelectronics and other companies that have their R&D centres in India. The salaries in R&D as I have seen are always pretty good and have been a notch above the IT companies in both private and govt sector. At entry level anything from 5-7 lacs can be expected in a good firm. At 10 yrs of exp 15 lacs to 20 lacs range can be seen and at general manager level i.e. around 20-25 yrs of experience it is anywhere from 50 lacs to 70 lacs. For young engineers international travel for technology absorption and capability building is quite common. Such kind of international stays are generally all expenses paid in addition to your salary in India which goes as 100% savings. 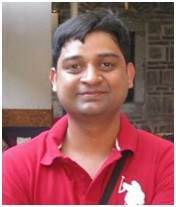 Author Bio: Saurabh Joshi has over a decade of experience in the automotive industry. He is a keen follower of industry trends and business market. Share your thoughts and queries for him in the comments section below. I am student of automobile engineering in final year. and I am not qualified of gate exam. but I have published international level research paper. so , sir, I am eligible for any automobile company. Would like to meet you Mr. Joshi. Pls share ur contact details. My husband lost his job in R & D department. He is gate qualified , MTech and PhD from IIT with 6 years of experience. How he should search out for the job? I aimed to work in R and D department , so can u suggest me how can work now only to get job in R and D.
I am student of MBA ( Marketing) final year student and i want to work with your department so please suggest me sir how can work now only to get job in R and D.
hello sir, I have done M.com. I am a education counselor But I want switch the field because there is no growth in this so i wanna go in R & D. Many of my friends are in R&D n getting very good growth with handsome salary. So plz suggest some Good R&D company for me. I have Joined R&D dept. just before few days. I am doing my internship as a fresher. Its an interior designer company. I don’t know from where to start and what to do. I can’t judge my work type. what type of tasks i am supposed to do? Please Help me Sir, I am in Trouble. Hi sir, I am a final year undergraduate B-Tech student in mechanical engineering. I am interested in working in an r&d job profile but I am not inclined to study an MS/M-Tech, rather I would like to do an MBA and then choose to work in the r&d department of automotive/defense/manufacturing automation company company in India or the USA. What MBA degree did you pursue and do you have any suggestions as to what kind of MBA degree i should look at? Thank you in advance! Felt relaxed after reading your article. I’m working with a 2wheeler manufacturing segment in India. I’ve completed my BE in mechanical engineering, it’s been 4 years I’m working for the manufacturing firm in Assembly division. Kindly let me the possibilities and the routes that I can get into automobile R&D. I have completed my diploma engineering in automobile and now am Pershing the course of AMIE in automobile I want to work in R&D of an automobile companies. How should I get a job in R&D? I need a track show me. I am working in r & d deptt in automotive industry for since past two years. I done my b tech in me in 2016. I have seen lot of creativity and innovation in my r & d team. We works too late until we not get better solution. So i am asking you. Is it a good start. And how can i improve its better.